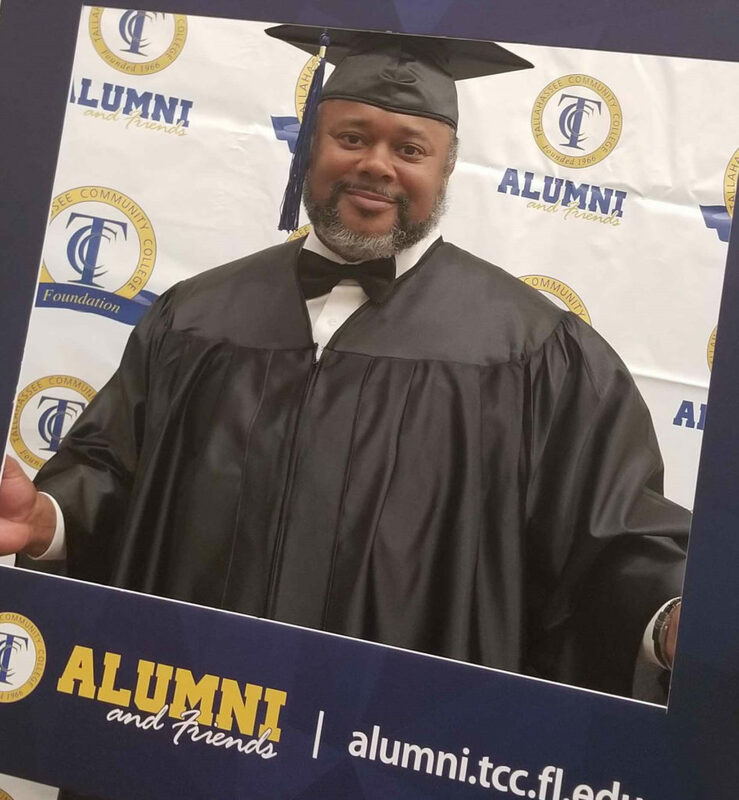 Rickards dropout Tyrese Williams could now call himself a TCC alum. About five years ago, Tyrese Williams began to repeatedly hear the voices of his co-worker in his head. So Williams, who dropped out of Rickards High School as a sophomore during the 1970s and eventually had run-ins with the law, decided to fix his situation. Never mind that he was doing well as a construction worker at FSU. 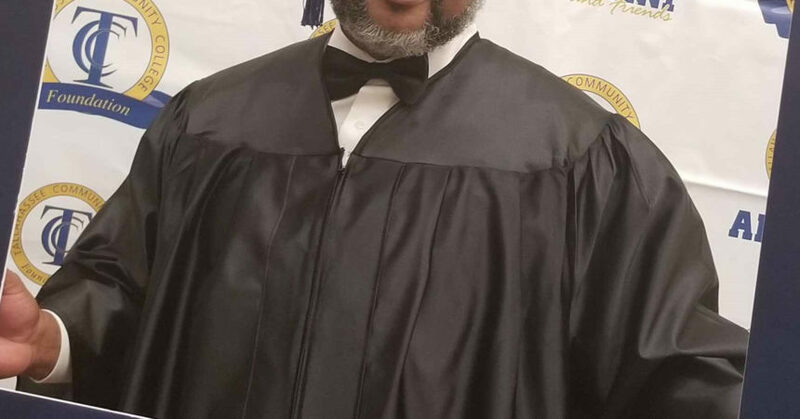 At age 53, Williams graduated this past weekend from Tallahassee Community College with an AA degree. He plans to spend the next two years completing studies for a degree in social work, beginning this fall at FSU. Williams was 49 years old when he set out to put his plans in motion, earning a GED certificate. All the time, he held down a part time job as head coach of the Lincoln Neighborhood Center’s boxing team. Gwen Lucas, executive director of the Lincoln Center Foundation, said what Williams is accomplishing makes him the perfect example for participants in the program. Most come from single-parent households and face circumstances similar to Williams’ early life. Obviously feeling a sense of vindication for her decision to hire Williams, Lucas said she saw potential in him that naysayers didn’t. For many of the young men on the team, Williams has become a father figure. Now he not only tells them about persistence, but he’s become an example. Williams’ decision to continue his college education is yet another example, Lucas said. “Going farther, he is telling them ‘you keep trying to attain something better,’ ” Lucas said. Williams was more than 40 years removed from a classroom when he decided to get a GED. Before that, he tried having a family but his marriage, from which he has one child, lasted 10 years. He also proudly speaks of his eight other children and six grandchildren. In part, Williams said, his decision to attend college comes from having big dreams about his future. With all that he has going on with his fulltime job and coaching, Williams finds time to practice his faith in a higher power. He has become a licensed minister who helps to pastor at New St. John AME Church during the past four year. He had to make changes in his life when he heard the calling, Williams said.